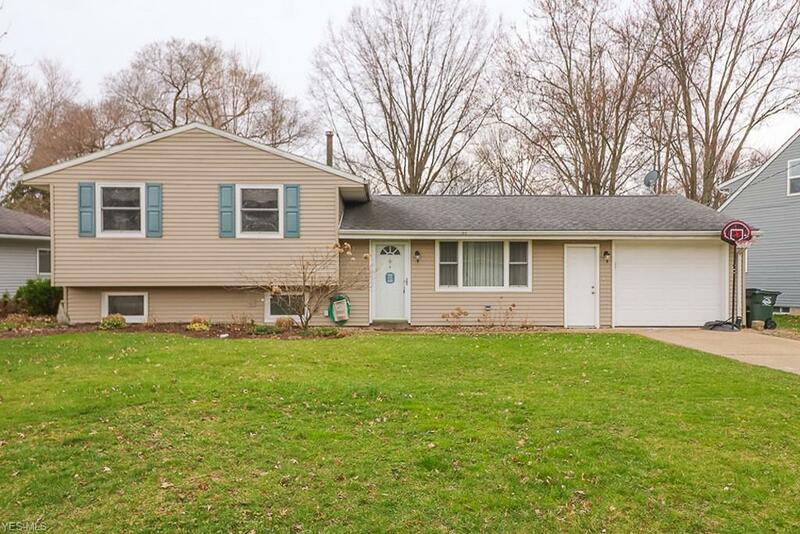 Beautiful & updated 3 bedroom 2 full bath Elyria Township home! Tastefully appointed interior, no wallpaper & mostly wood flooring throughout. Main level offers laminate wood flooring! Large living room plus a spacious family room downstairs. Kitchen offers attractive cupboards/counters and a gorgeous tile backsplash, appliances stay! Both bathrooms have been modernized, lower level bath is spacious with a walk in shower. Beautiful hardwood flooring upstairs! Fenced in backyard with a huge patio! Attached garage! All appliances stay including washer/dryer! Elyria Twp. location places you close to two I-90/Rt 2 access points, turnpike and various conveniences!